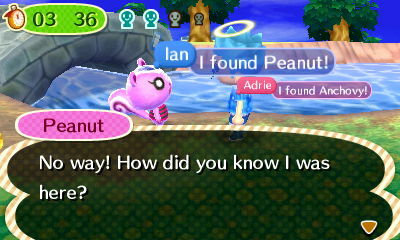 The Island has always been an important part of the Animal Crossing series. Renamed Tortimer Island after the former mayor Tortimer, the island now serves as a place to Wi-Fi with friends, swim and catch rare fish and insects. However, the island is not available at first. 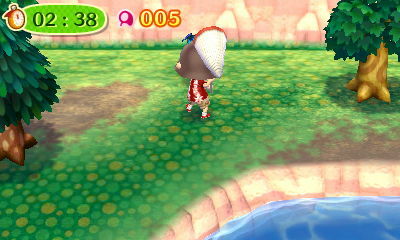 After upgrading from the tent to the house, Tortimer will be introduced and can be seen standing at the docks. 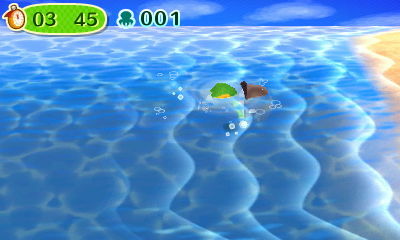 The next day, Kapp'n's boat will be able to take you over to the island round-trip for 1,000 Bells. This guide is focused on the Island Tours you can do on your own island or on the online island. If you would like to find out more about the island, please read our Island Guide; more about things to do on the island, other than tours, can be found in the Island Extras Guide. 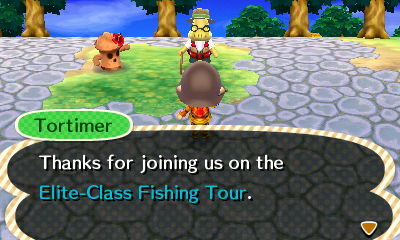 Tortimer now leads the island tours, special mini-games that can be played by yourself or with friends. Up to four players can participate in these tours. In the beginning, only the one-star tours are available - they're the easiest. As you complete the one-star tours, the two-star tours will become available. Then, as you complete them, the hardest tours are unlocked: the three-star ones. Island Medals are given as rewards and can be exchanged for items in the island shop. In multiplayer mode, things are a little bit different. In most of the tours, bonus medals are awarded to each player depending on their contribution and the difficulty of the tour. Also, the required score for the medal objectives are multiplied by the number of people playing. 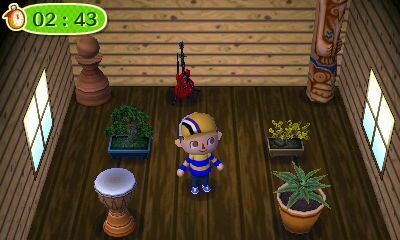 There are many different tours that can be played on the island. The tours are divided into categories and are further divided by difficulty. Talk to Leilani behind the counter to go on a tour! Every day, you'll find a selection of the possible tours. For any specific day, the tours are fixed, which means that if you're on the same date as someone else, you'll have the same tours on offer. You're given a slingshot and a time limit. The goal is to shoot down as many balloons as possible. 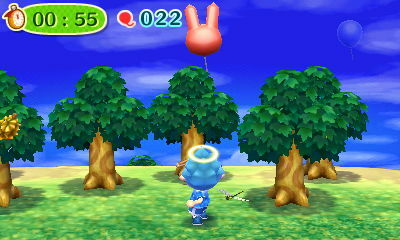 You must score 20 points to pass the level; regular balloons are worth one point and bunny balloons are worth three points. 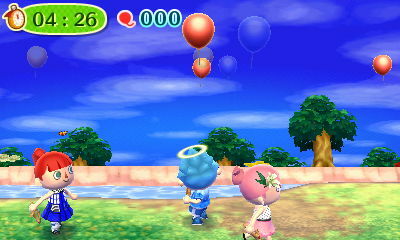 On the bottom screen of the Nintendo 3DS, you can see the direction the balloons are flying in and the location of the balloons. In multiplayer mode, there will be more balloons: each player will be assigned a color and can only shoot balloons of that color. There are three tours for Balloon-Hunt. This is the beginning tour for the Balloon-Hunt. You have five minutes to pop as many balloons as you can. Scoring 20 points will give you 1 medal, scoring 26 points will give you 2 medals, scoring 32 points will give you 4 medals, and scoring 40 or more points will give you 6 medals. 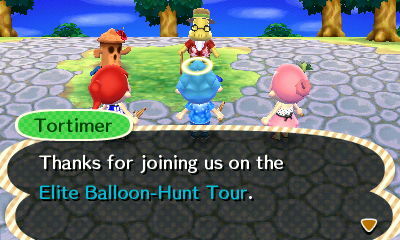 This basic tour is best for beginners to Balloon-Hunt! This tour is a little bit more difficult than the Easy Balloon-Hunt. Balloons travel at double the speed and obstacles are added into the map! Make sure to watch out for pitfalls and trees as you try to shoot down balloons. You can earn more medals from this tour: 2 medals for 20 points, 3 medals for 26 points, 5 medals for 32 points and 8 medals for 40 or more points. This tour provides a more challenging hunt for the confident player, who is no longer a novice at Balloon-Hunt. The Elite Balloon-Hunt is the ultimate tour in this category. It tests your skill as a slingshot master. 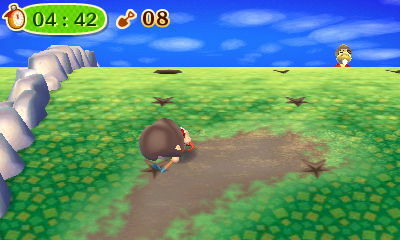 The amount of pitfalls is approximately tripled, so watch your step! The amount of medals you can earn is higher. Scoring 20 points will give you 3 medals, 26 points will give you 5 medals, 32 points will give you 7 medals, and 40 or more points will give you 12 medals. There are two different kinds of Bug Catching tours. 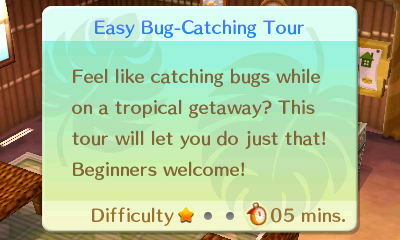 One type of tour just asks for you to catch as many bugs as possible. The other type of tour asks for a certain kind of insect. The Easy Bug-Catching Tour, Bug Free-for-All Tour, Pros-Only Bug Hunt, Market-Price-Bug Tour, and the Elite Market-Price-Bug Hunt are tours that allow you to catch as many bugs as you can. The Fall Bug Tour, Beetle-Hunting Tour, Cicada-Catching Tour, Butterfly-Discovery Tour, Dragonfly-Discovery Tour, Giant-Dragonfly Tour, Bug Hide-and-Seek Tour, Evening Firefly Tour, and Hop-To-It Bug Hunt are tours that ask you to catch a certain type of bug. There are over 10 different bug catching tours, but each one is unique. This is the easiest bug catching tour. It's best for beginners. You have five minutes to catch as many bugs as you can. In order to pass the tour, you have to catch at least 3 bugs to get one medal. Catching 4 bugs will give you 2 medals, 5 bugs will give you 4 medals and catching 6 or more bugs will give you 6 medals. This tour gives you five minutes to catch as many beetles as you can. You have to catch at least 3 beetles to get one medal. 4 beetles will give you 2 medals, 5 beetles will give you 4 medals and 6 or more beetles will give you 6 medals. 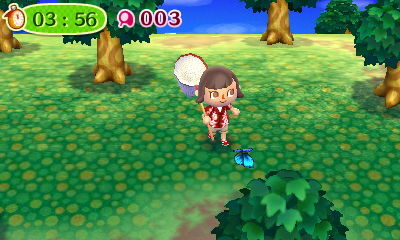 You probably see lots of butterflies in your town, so this tour won't be very different to you. You have five minutes to catch as many butterflies as you can. 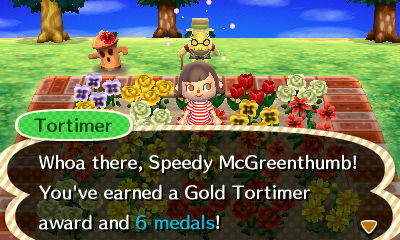 In those five minutes, you have to catch at least 3 butterflies in order to get one medal. 4 butterflies will give you 2 medals, 5 butterflies will give you 4 medals and 6 or more butterflies will give you 6 medals. Similar to the butterfly discovery tour, this tour has a simple objective: catch as many dragonflies as you can. 3 dragonflies in five minutes is the minimum goal, to get one medal. Catching 4 dragonflies will give you 2 meals, 5 dragonflies will give you 4 medals, and 6 or more dragonflies will give you 6 medals. The Bug Free-for-All Tour is an intermediate version of the Easy Bug-Catching Tour. There's no limit on the type of bugs you can catch, and you can catch as many bugs as you can. 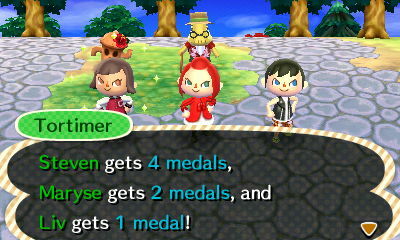 The stakes are raised, though: you have to catch 4 bugs in order to pass the tour and receive 2 medals. 6 bugs will give you 3 medals, 7 bugs will give you 5 medals and 8 or more bugs will give you 8 medals. The Fall Bug Tour gives a breath of fresh air to the summer ambiance of the tours. The goal is to catch all the noisy bugs: the crickets, Bell crickets, and grasshoppers. As in the Bug Free-for-All Tour, 4 bugs are needed to pass the tour and get 2 medals. 6 bugs give 3 medals, 7 bugs give 5 medals, and 8 or more bugs give 8 medals. On this tour, you have to catch as many cicadas as you can. It won't be too difficult, because they're very noisy. 4 cicadas are needed to pass and get 2 medals. Catching 6 cicadas will give 3 medals, 7 cicadas will give you 5 medals and 8 or more cicadas will give you 8 medals. On the Market-Price-Bug Tour, the Bell value of your bugs determines your score. 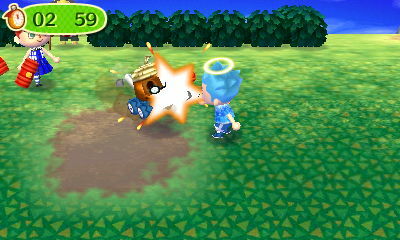 You have to catch at least 10,000 Bells' worth of bugs. 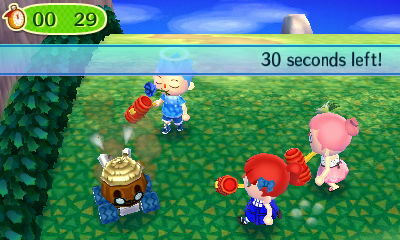 You'll earn 2 medals for catching between 10,000 and 13,000 Bells' worth of bugs. 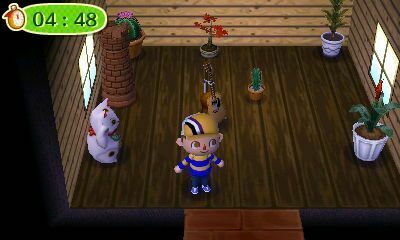 Catching 16,000 Bells' worth of Bugs will earn you 5 medals, and catching 20,000 or more Bells' worth of bugs will earn you 8 medals. This tour is a simple yet challenging tour that allows you to hunt down locusts. You have to catch 4 locusts in order to get 2 medals. Catching 6 locusts will get you 3 medals, catching 7 locusts will get you 5 medals and catching 8 or more locusts will get you 8 medals. You must catch as many fireflies as you can. The tour takes place at night, so the fireflies will be out. You have to catch at least 5 fireflies in 5 minutes in order to get 3 medals. Catching 7 fireflies will earn you 5 medals, catching 8 fireflies will earn you 7 medals, and catching 10 or more fireflies will earn you 12 medals. Like the Market-Price-Bug Tour, you have to catch the expensive bugs in order to profit! It's more difficult now. 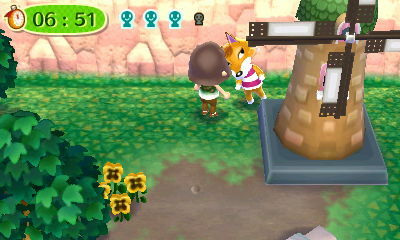 You have five minutes to catch at least 20,000 Bells' worth of Bugs. If you can do that, you gain 3 medals. 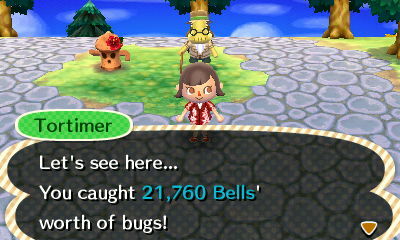 Catching 26,000 Bells' worth of bugs will get you 5 medals, catching 32,000 Bells' worth of Bugs will gain you 7 medals and catching 40,000 or more Bells' worth of bugs will gain you 12 medals. If you're the ultimate master of catching bugs, then this tour is the ultimate challenge of your mastery. This tour is unique because you're equipped with both a net and shovel. In 7 minutes, you have to catch at least 5 hidden bugs. This includes centipedes, walking sticks, pill bugs and so on. If you can catch at least 5 of these bugs, you get 4 medals. Catching 7 or more will get you 7 medals, catching 8 or more will get you 12 medals and catching 10 or more will get you 15 medals. Can you find them all? The island is covered with Banded Dragonflies and Petaltail Dragonflies. You can catch all of them. In 7 minutes, you have to catch at least 5 to earn 5 medals. Catching 7 dragonflies will earn you 10 medals, catching 8 dragonflies will earn you 14 medals and catching 10 or more dragonflies will earn you 20 medals. This is the hardest bug tour available. The goal is simple, but achieving that goal is a different story. You have five minutes to catch at least 5 bugs and get 3 medals. Catching 7 bugs will get you 5 medals, catching 8 bugs will get you 7 medals, and catching 10 or more bugs will give you 12 medals. The tour is nowhere near as easy as it sounds, and is the ultimate test of your ability as a bug pro. 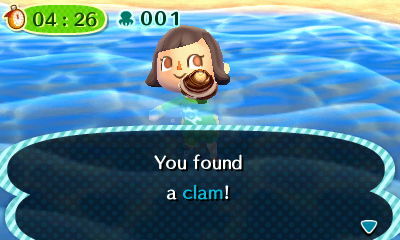 Unique to Animal Crossing: New Leaf, diving is a new experience that allows the player to dive underwater and catch sea creatures like octopi, seaweed and sea grapes! These tours give you the opportunity to fine-tune your diving skills and challenge yourself. This is a beginner's tour that allows you to practice the basics. You have to dive for as many creatures as you can. Grabbing 3 creatures earns you 1 medal, grabbing 4 creatures earns you 2 medals, grabbing 5 creatures earns you 4 medals and grabbing 6 or more creatures earns you 6 medals. This tour requires you to catch only shellfish. You have five minutes to grab 3 shellfish and get 1 medal. Grabbing 4 shellfish will get you 2 medals, grabbing 5 shellfish will get you 4 medals, and grabbing 6 or more shellfish will get you 6 medals. This beginners' tour asks that you only dive for crabs. 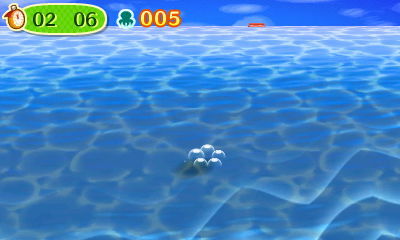 Of course, the spawning is altered so that only crabs appear. As in the Shellfish Free-For-All Tour, catching 3 crabs will get you 1 medal, catching 4 crabs will get you 2 medals, catching 5 crabs will get you 4 medals, and catching 6 or more crabs will get you 6 medals. If you have a good grasp of the basics, then it may be time for you to move on to the Seafood Free-Diving Tour. It's a tad more challenging, without stressing you out. The medal amounts are increased a tiny bit. Grabbing 4 creatures gets you 2 medals, grabbing 6 creatures gets you 3 medals, grabbing 7 creatures gets you 5 medals and grabbing 8 or more medals gets you 8 medals. This time, you're diving for gourmet ingredients, like spiny lobster, abalone, sea urchins, and horsehair crabs. You have five minutes to grab 4 creatures and gain 2 medals. Similar to the Seafood-Diving Tour, grabbing 4 creatures will gain 2 medals, grabbing 6 creatures will gain 3 medals, grabbing 7 creatures will gain 5 medals and grabbing 8 or more creatures will gain 8 medals. Dive for value now! 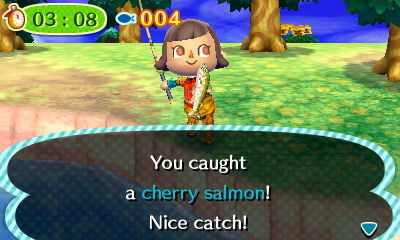 You have 5 minutes to catch at least 5,000 Bells' worth of seafood and gain 2 medals. 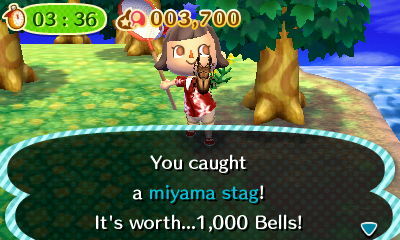 Catching 6,500 Bells' worth of seafood will gain you 3 medals, catching 8,000 Bells' worth of seafood will gain you 5 medals and catching 10,000 Bells' or more worth of seafood will give you 8 medals. Looking for an excuse to catch as many shrimps and lobsters as possible? Then this tour is right for you! If you can catch 4 of these creatures in 5 minutes, you'll receive 2 medals. Finding 6 will give you 3 medals, finding 7 will give you 5 medals and finding 8 or more will give you 8 medals. This free-for-all tour is the most advanced in the diving tour series. You have five minutes to grab 5 creatures and gain 3 medals. Grabbing 7 creatures will gain you 5 medals, grabbing 8 creatures will gain you 7 medals and grabbing 10 or more creatures will gain you 12 medals. The goal of this tour is to catch as many octopi as you can! This three star tour is difficult and requires an advanced knowledge of diving. Octopi are fast and try to swim away from you when you try to get them. In this tour, you have to catch 5 octopi to get 4 medals, 7 octopi to get 7 medals, 8 octopi to get 12 medals and 10 or more octopi to get 15 medals. 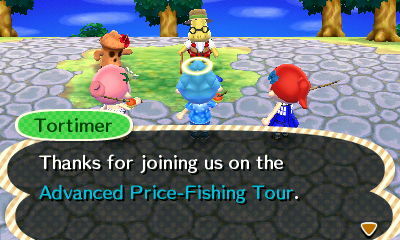 Similar to the Market-Price-Bug Tour, this tour wants you to catch sea creatures with Bell value. Rack up the Bell value and you earn more medals! 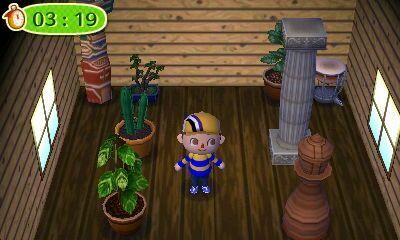 5,000 Bells' worth of sea creatures will gain you 2 medals, 6,500 Bells' worth of sea creatures will gain you 3 medals, 8,000 Bells' worth of sea creatures will gain you 5 medals and 10,000 or more Bells worth of sea creatures will gain you 8 medals. Find the elusive spider crab on this tour! If you can catch 5 of these crabs in 8 minutes, you'll receive 5 medals. Finding 7 crabs will give you 10 medals, finding 8 crabs will give you 14 medals and finding 10 or more crabs will give you 20 medals. In five minutes, you have to find sea urchins. There will be other creatures in the water with a similar size shadow to the sea urchin to distract and deceive you. Keep your eye on the prize and try to grab 5 sea urchins to get three medals. Grabbing 7 sea urchins will get you 5 medals, grabbing 8 sea urchins will get you 7 medals and grabbing 10 or more sea urchins will give you 12 medals. In the fishing tours, you mostly have to catch as many fish as you can before time runs out. Of course, they do have different varieties, though. 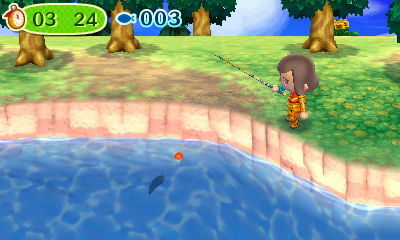 In tours in which the player can only catch ocean fish, the tour will take place on an island with an ocean on all four sides, and rivers will not be present. This tour is great for beginners! 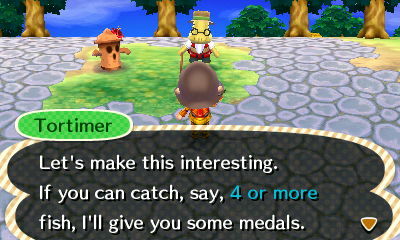 You can catch any fish; you just have to catch 3 in 6 minutes to get 1 medal. Catching 4 fish will give you 2 medals, catching 5 fish will give you 4 medals and catching 6 or more fish will give you 6 medals. In this tour, you can only catch tropical fish like the clownfish, surgeonfish, and butterfly fish. Again, you have six minutes to catch three fish and gain 1 medal. Catching 4 fish will gain you 2 medals, catching 5 fish will gain you 4 medals and catching 6 or more fish will gain you 6 medals. In this unique tour, you can catch all types of eels and thin fish! If you catch three fish/eels, you get 1 medal. If you catch 4 fish/eels, you get 2 medals. 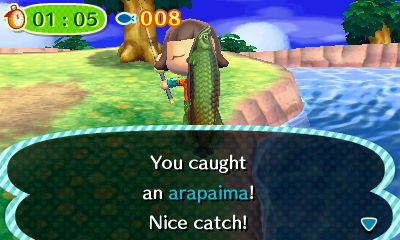 Catching 5 fish/eels will get you 4 medals and catching 6 or more fish/eels gets you 6 medals. This tour is similar to the Easy Tropical Fishing Tour; however, it's a bit more difficult. 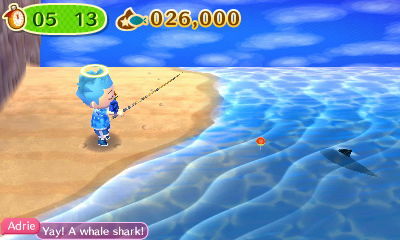 Try your best to catch as many ocean fish as you can! Catching 3 fish will give you 2 medals, catching 4 fish will give you 3 medals, catching 5 fish will give you 5 medals and catching 6 or more fish will give you 8 medals. This time, you'll be fishing for ancient fish on an island river. As in the Classic Tropical Fishing Tour, catching 3 fish will give you 2 medals, catching 4 fish will give you 3 medals, catching 5 fish will give you 5 medals and catching 6 or more fish will give you 8 medals. Fish for value now! 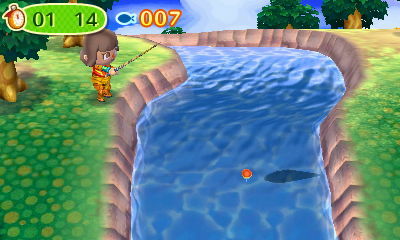 You have 6 minutes to catch at least 10,000 Bells' worth of fish and gain 2 medals. 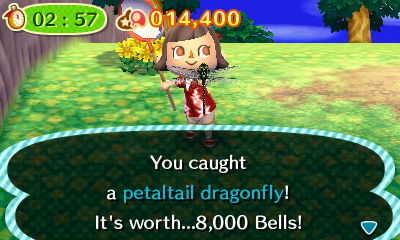 Catching 13,000 Bells' worth of fish will gain you 3 medals, catching 16,000 Bells' worth of fish will gain you 5 medals and catching 20,000 Bells' or more worth of fish will give you 8 medals. Keep your eye out for the dangerous fish! Your goal is to catch as many dangerous fish as you can. Catching 3 fish will give you 2 medals, catching 4 fish will give you 3 medals, catching 5 fish will give you 5 medals and catching 6 or more fish will give you 8 medals. This tour is the most difficult fishing tour in the group. You have six minutes to catch as many fish as you can. You have to catch at least 4 fish in order to pass the tour and get 3 medals. Catching 6 fish will get you 5 medals, catching 7 fish will get you 7 medals and catching 8 or more fish will get you 12 medals. Rack up as many Bells as you can! 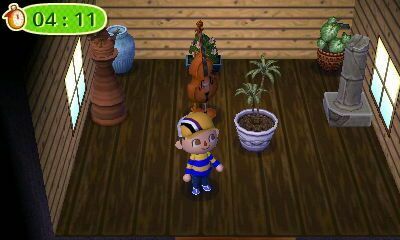 You only have six minutes to catch at least 20,000 Bells' worth of fish to pass the tour and get 3 medals. 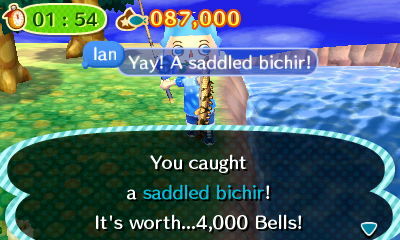 Catching 26,000 Bells' worth of fish will get you 5 medals, catching 32,000 Bells' worth of fish will get you 7 medals and catching 40,000 or more Bells' worth of fish will get you 12 medals. Shark vs. man - the ultimate challenge. Catch as many sharks as you can in six minutes. Catching 4 sharks will give you 4 medals, catching 6 sharks will give you 7 medals, catching 7 sharks will give you 12 medals and catching 8 or more sharks will give you 15 medals. Catch all the tuna! On this six minute tour, other fish will spawn and appear as well. Make sure to focus on only the tuna for the ultimate prize. Catching 4 tuna will give you 5 medals, catching 6 tuna will give you 10 medals, catching 7 tuna will give you 14 medals and catching 8 or more tuna will give you 20 medals. This one-star tour is the easiest of the three. 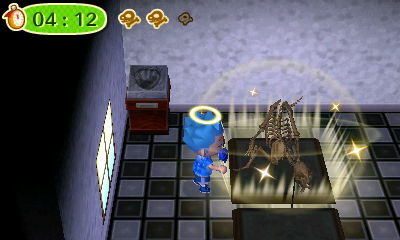 You have 10 minutes to dig up the fossils and match them in the house correctly. If you finish the tour in 10 minutes, you get 2 medals. If you finish the tour in 9 minutes and 20 seconds, you get 4 medals; if you finish the tour in 8 minutes and 40 seconds, you get 5 medals; and if you finish the tour in 8 minutes, you get 7 medals. 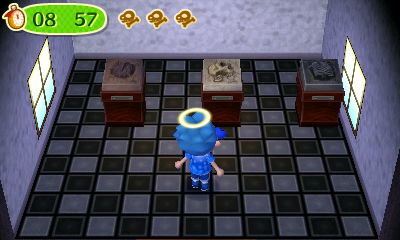 It's basically identical to the Easy Fossil Finder's Tour, except the medal rewards are slightly different and it's a tad more difficult. If you finish in 10 minutes, you get three medals. If you finish in 9 minutes and 20 seconds you get 4 medals. If you finish in 8 minutes and 40 seconds, you get 6 medals; if you finish in 8 minutes, you get 9 medals. 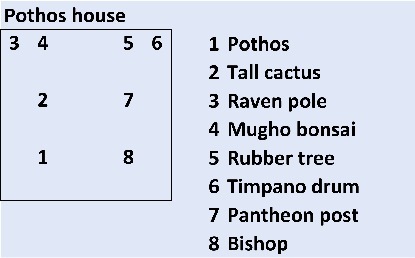 This tour is the most difficult because the fossil names aren't shown in the sample houses, so you have to know the fossils by appearance. If you finish in 10 minutes, you get 4 medals. If you finish in 9 minutes and 20 seconds, you get 6 medals. If you finish in 8 minutes and 40 seconds, you get 8 medals; if you finish in 8 minutes, you get 13 medals. Don't let the fact that these tours involve flowers fool you! They're just as difficult and fun as the other tours. 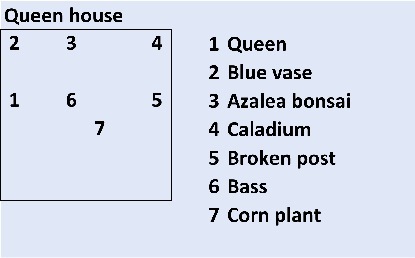 You have to plant as many flowers of the specified type as possible in the flower bed area in front of Tortimer. After the bed has been filled, the game is over. For a single player, the bed is 5x5, for two players: 7x7, for three players: 8x8, and 9x9 for four players. This one-star tour is simple and good for beginners. 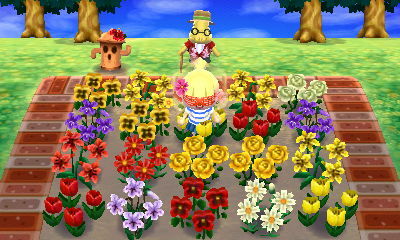 You have five minutes to collect flowers of any type and plant them in the bed. If you finish in 5 minutes, you get 1 medal. If you finish in 4 minutes and 30 seconds, you get 2 medals. If you finish in 4 minutes, you get 4 medals; if you finish in 3 minutes and 30 seconds, you get 6 medals. Hopefully you know the difference between your flowers! 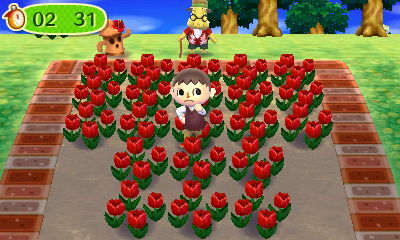 On this tour, Tortimer will ask you to plant a specific breed of flowers in the bed (tulips, pansies, roses, etc.). If you plant a different flower type in the bed, you receive a penalty. If you finish in 5 minutes, you get 2 medals. If you finish in 4 minutes and 30 seconds, you get 3 medals. If you finish in 4 minutes you get 5 medals; if you finish in 3 minutes and 30 seconds, you get 8 medals. This three-star tour is the most difficult of them all. Tortimer will ask you to plant a specific breed and a specific color, like red tulips, yellow roses or white pansies, in the bed. Only those flowers can be planted in the bed, and if other flowers are planted, a penalty will be invoked. If you finish in 5 minutes, you get 3 medals. If you finish in 4 minutes and 30 seconds, you get 5 medals. If you finish in 4 minutes, you get 7 medals; if you finish in 3 minutes and 30 seconds, you get 12 medals. On the Hammer Tours, each player is equipped with a hammer. The goal is to chase a Cornimer toy and hit it with the hammer as many times as possible, before time runs out. When the toy reaches an obstacle, it will change direction. Occasionally, it will flip over. This leaves it vulnerable to many easy hits. This three-minute tour will leave you begging for more! You have to hit the machine at least 30 times in order to get one medal. Hitting the machine 39 times will give you 2 medals, hitting it 48 times will give you 4 medals and hitting it 60 or more times will give you 6 medals. This tour is a tad more difficult. There are more rocks and the machine moves a little faster this time. Hitting it 30 times will give you 2 medals, hitting it 39 times will give you 3 medals, hitting it 48 times will give you 5 medals and hitting it 60 or more times will give you 8 medals. If you think you're a true hammer expert, then hammer away! 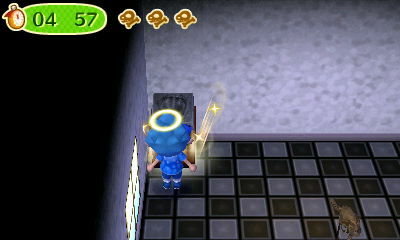 The toy moves faster than it did in the Level-Up Tour, so prepare yourself! Hitting it 30 times will give you 3 medals, hitting it 39 times will give you 5 medals, hitting it 48 times will give you 7 medals and hitting it 60 or more times will give you 12 medals. 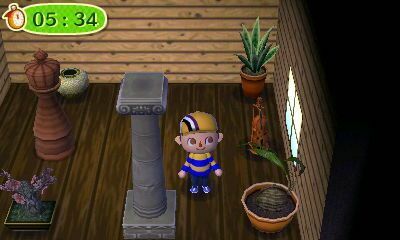 Based off of the in-town game, where you play hide-and-seek with your villagers, you have the opportunity to play the game on the island too! 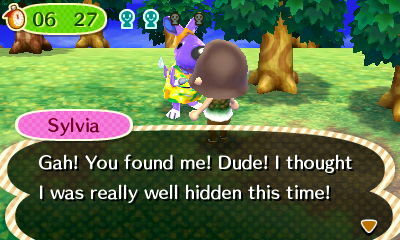 You have to find four villagers that are hiding all over town. They hide behind trees and other fixtures, like houses and public work projects. They don't hide on the beach and they don't hide inside buildings. In multiplayer mode, the players have one less minute to complete the tour for each additional player, so in a group of three, the players only have six minutes to finish, instead of 8 minutes. This game is slow-paced and easy. 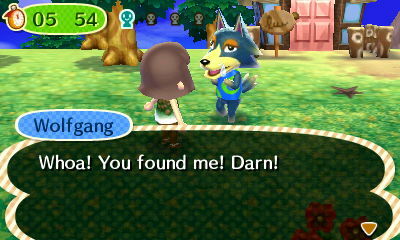 You have 8 minutes to find all the villagers. They frequently lean sideways to peek out from their hiding place, so their positions are often given away. If you finish in 8 minutes, you get 2 medals. If you finish in 7 minutes, you get 3 medals. If you finish in 6 minutes, you get 5 medals, and if you finish in 5 minutes, you get 7 medals. This tour is a tiny bit more difficult. The villagers still lean out, but not as much. There are also moving insects that may distract you. If you finish in 8 minutes, you get 3 medals. If you finish in 7 minutes, you get 4 medals. If you finish in 6 minutes, you get 6 medals, and if you finish in 5 minutes, you get 9 medals. This hide-and-seek tour is the ultimate challenge! Are you up for it? In this tour, the animals don't lean out at all and are very well hidden. 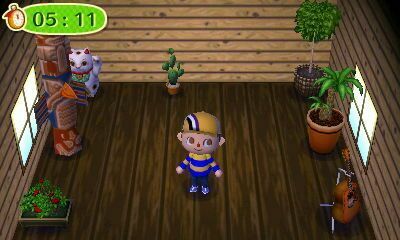 Make sure to double-check areas you may have looked in before if you can't find the animals. Sometimes they're hiding in very concealed spots. 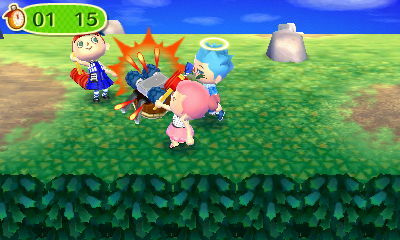 Also, watch out for pitfalls! 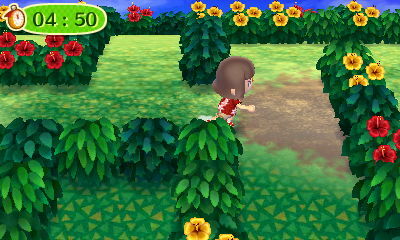 There are many pitfall seeds dug all over the island.If you finish in 8 minutes, you get 4 medals. If you finish in 7 minutes, you get 6 medals. If you finish in 6 minutes, you get 8 medals, and if you finish in 5 minutes, you get 13 medals. 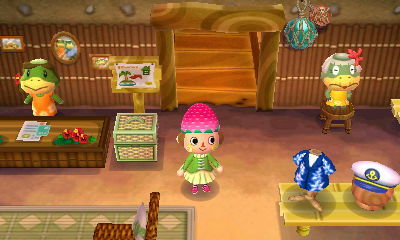 The Item-Matching Tour is basically a memory game. 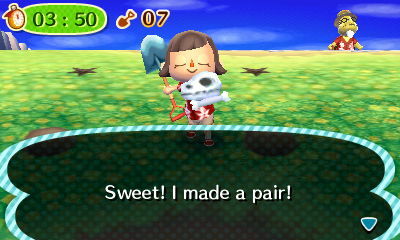 With a shovel, you have to dig up different items and match pairs. 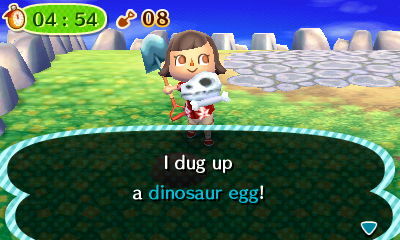 When you dig up an item, it stays in your pockets and if the next dug-up item doesn't match, you will automatically bury it again. 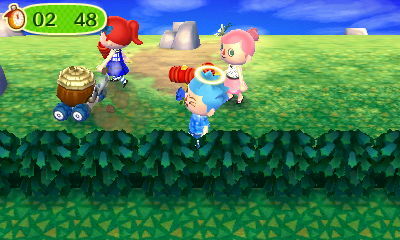 When you dig a hole, you will be asked to bury the current item in your pockets. 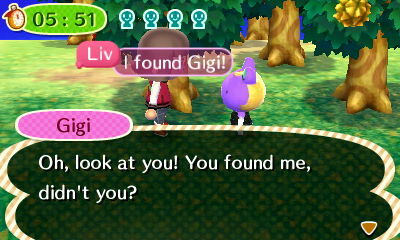 Sometimes, this feature is helpful if you dig up an item and you know where the other matching item is. This tour is good for beginners. You have to match 6 pairs (12 items) in 5 minutes. If you match all the pairs in 5 minutes, you get 1 medal. If you match all the pairs in 4 minutes and 30 seconds, you get 2 medals. If you match all the pairs in 4 minutes, you get 4 medals, and if you match all the pairs in 3 minutes and 30 seconds, you get 6 medals. If you're feeling more confident with your item-matching skills, try out this medium, two-star tour. This time, you have to match 8 pairs (16 items). If you match all the pairs in 5 minutes, you get 2 medals. If you match all the pairs in 4 minutes and 30 seconds, you get 3 medals. If you match all the pairs in 4 minutes, you get 5 medals, and if you finish in 3 minutes and 30 seconds, you get 8 medals. This tour is the hardest tour in the Item-Matching Tour series. You have to match 10 pairs (20 items) altogether. If you match all the pairs in 5 minutes, you get 3 medals. If you match all the items in 4 minutes and 30 seconds, you get 5 medals. If you match all the items in 4 minutes, you get 7 medals, and if you match all the items in 3 minutes and 30 seconds, you get 12 medals. The Labyrinth Tours will test your skill at mazes! 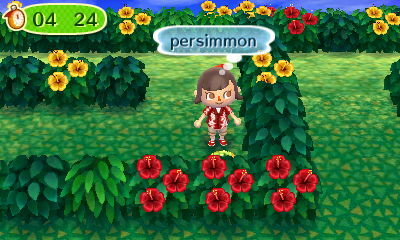 You will have to gather a specific number and specific type of fruit ,such as 5 persimmons or 4 pears, and give them back to Tortimer. If you pick up the wrong fruit or don't have enough, Tortimer won't accept the fruit. In multiplayer mode, each player will be assigned a fruit. 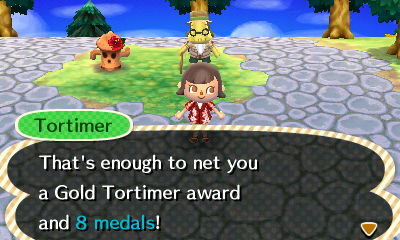 Once one player has completed his/her tasks, he/she can help the other player complete their task, because Tortimer won't give you any medals if all the tasks aren't complete. In this five-minute tour, you have to collect a certain number of a single type of fruit. This is great for beginners! If you finish in 5 minutes, you get 1 medal. If you finish in 4 minutes and 30 seconds, you get 2 medals. If you finish in 4 minutes, you get 4 medals, and if you finish in 3 minutes and thirty seconds, you get 6 medals. If you feel more confident on tackling the maze, then this tour is great! 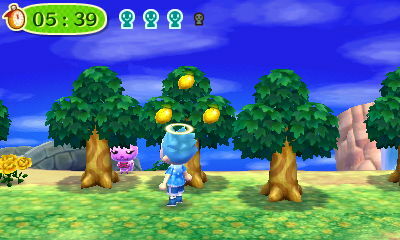 This time, you have to collect a certain number of two different types of fruit. If you finish in 5 minutes, you get 2 medals. If you finish in 4 minutes and 30 seconds, you get 3 medals. If you finish in 4 minutes, you get 5 medals, and if you finish in 3 minutes and 30 seconds, you get 8 medals. This is the ultimate maze challenge for only the brave! 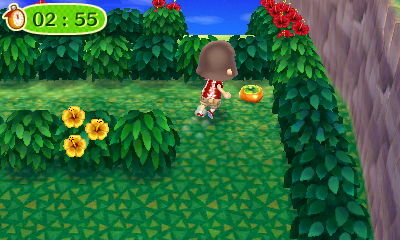 This time, you have to collect three different types of fruit. If you finish in 5 minutes, you get 3 medals. If you finish in 4 minutes and 30 seconds, you get 5 medals. If you finish in 4 minutes, you get 7 medals, and if you finish in 3 minutes and 30 seconds, you get 12 medals. 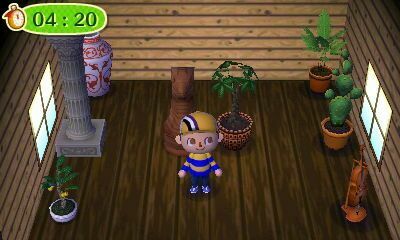 Ores are a new feature in Animal Crossing: New Leaf. Sometimes, a random rock appears. If you hit it with the shovel, the rock will explode and a gemstone will appear. There are amethysts, rubies, sapphires, emeralds, silver nuggets and golden nuggets. 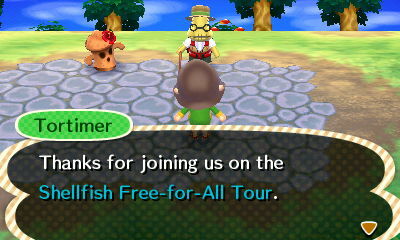 On this tour, Tortimer asks you to find as many gemstones as you can. Regular gemstones are worth 1 point, another type of gemstone Tortimer will announce will be worth 3 points, and there will be a mystery gemstone that is worth 10 points. It will be rarer and won't be found too often. Not all the rocks contain ores. Some rocks are simply rocks. You have 4 minutes to stuff your pockets with as many gems as you can get! There isn't a mystery ore on this tour, but there is a gemstone worth 3 points. If you can get 12 points within the time limit, you get 1 medal. If you can get 16 points within the time limit, you get 2 medals. If you can get 20 points, you get 4 medals, and if you can get 24 points or more, you get 6 medals. This tour is a bit more challenging, and the mystery ore - worth 10 points - is now introduced. You have to get 16 points in order to pass this tour and get 2 medals. If you can get 21 points, you get 3 medals. If you can get 26 points, you get 5 medals. If you can get 32 points or more, you get 8 medals. 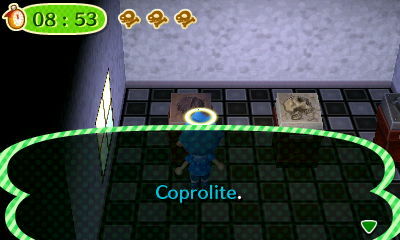 Now, two of the mystery ores can be found, instead of one like in Official Ore Tour. You have to collect 20 points in 4 minutes to get 4 medals. If you can get 26 points, you get 7 medals. If you get 32 points, you get 12 medals, and if you can get 40 points or more, you can get 15 medals. 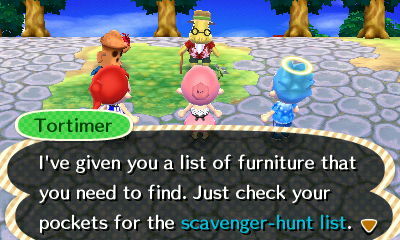 The Scavenger tours make you hunt for scavengers - or is it furniture? 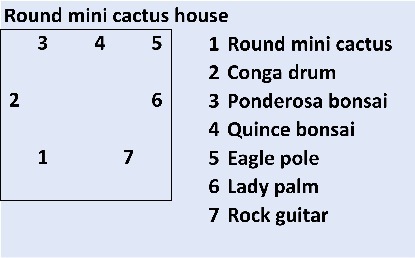 You start out with a list of furniture that you have to find. 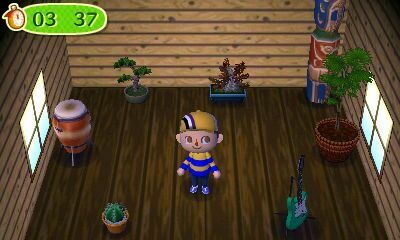 You have to enter houses and find the furniture you need. Once you have it, you have to put in your pockets and go back to Tortimer. The game ends when time runs out or you have all the furniture. 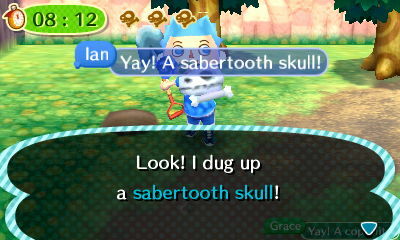 In multiplayer, each player has to find three different items. A house can only be occupied by one person at a time. 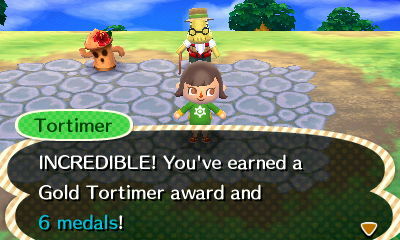 The game ends when the last person reports back to Tortimer. You have six minutes to find three items. If you finish in 6 minutes, you'll get 2 medals. If you finish in 5 minutes and 20 seconds, you get 4 medals. If you finish in 4 minutes and 40 seconds, you get 7 medals, and if you finish in 4 minutes, you get 9 medals. 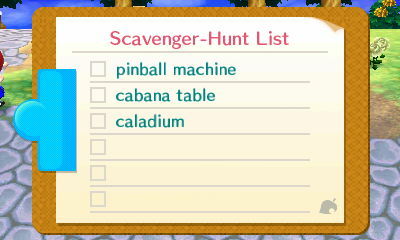 This hunt is a little more challenging, but you still have to find three items. If you finish in 6 minutes, you get 3 medals. If you finish in 5 minutes and 20 seconds, you get 7 medals. If you finish in 4 minutes and 40 seconds, you get 10 medals, and if you finish in 4 minutes, you get 13 medals. 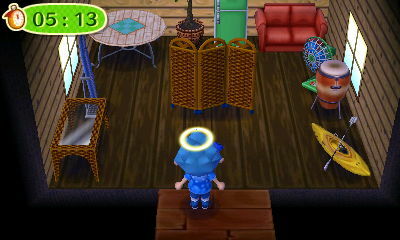 Only for the Master Scavengers, this tour asks you to look for similar looking furniture, or furniture in the same set. If you finish in 6 minutes, you get 4 medals. If you finish in 5 minutes and 20 seconds, you get 8 medals. If you finish in 4 minutes and 40 seconds, you get 12 medals, and if you finish in 4 minutes, you get 16 medals. The items in this tour can be confusing, it's an Elite tour, after all. 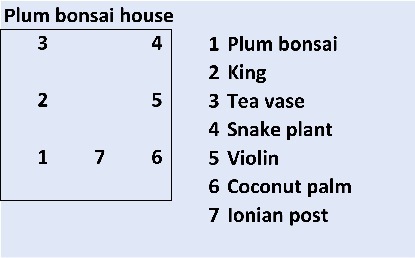 You'll encounter five houses, randomly selected from eight possible houses. 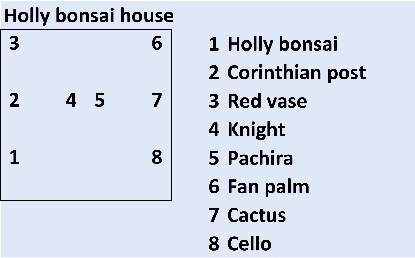 To help out, pictures of the inside of the eight possible houses are shown together with a list of the items in each house. 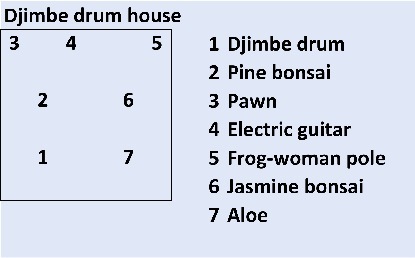 The houses are named after the first item you see when you enter the house, which is denoted by number 1. 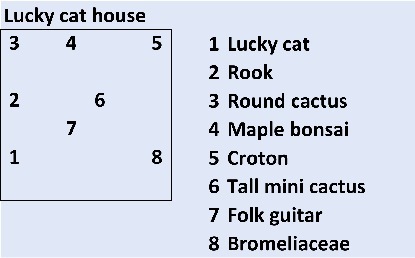 Compare the house you're in with the pictures and check the list to the right of the picture to find items from your Scavenger-Hunt list. 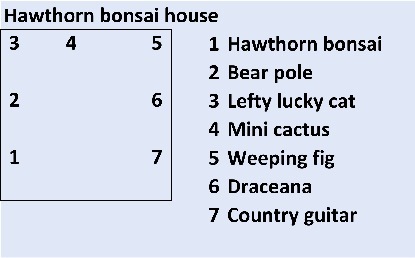 There's at most one item of the list in each house, so you'll need to check out between three and five houses before you've found all the items. 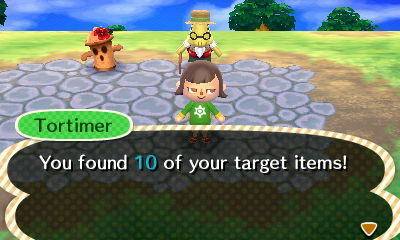 Once you've collected all three items from the list, report back to Tortimer.